We just received this wonderful report for beautiful Emma, a senior Husky with pancreatitis. 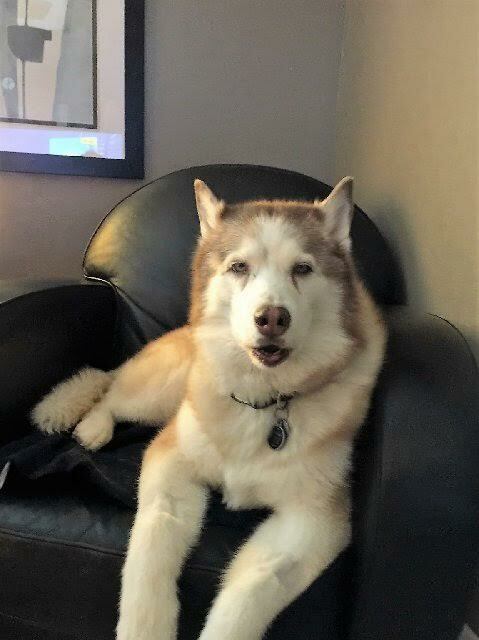 "We got some great news today...our (almost) 13 y/o diabetic Siberian Husky "daughter" Emma just got a positive report regarding her pancreatitis. Her levels, which were almost 1,000 are now normal. I have got to credit your LypoZyme capsules for contributing to this. Emma is also a "new dog" as far as her activity level is concerned and we can tell that she is feeling good. You have a customer as long as we are blessed with Emma as a family member. The picture was taken only last week. Lypozyme for Pets- helps break down food and improve digestion. It is especially helpful for pets with pancreatitis, liver disease, diabetes and those needing help with fat absorption.